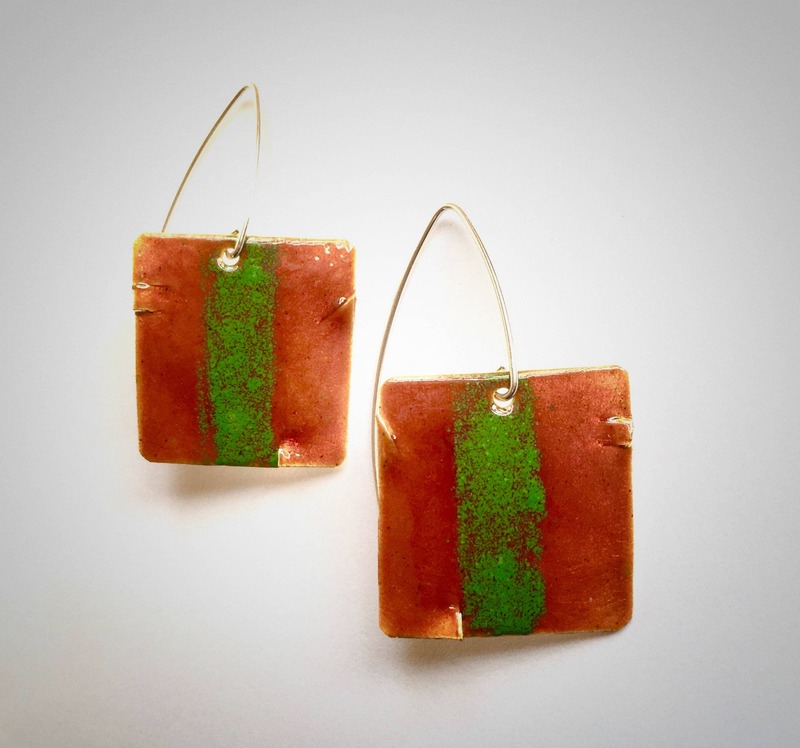 Colorful abstract vitreous enamel on Fine Silver, with Sterling Silver earwires. Earrings measure approx. 1” square.